Mia Williams walks down Wisconsin Avenue alone on a Thursday afternoon in Avenues West. A widow, Williams’ mother raised their family up herself and, though Williams said they moved around a lot, she also said they never wanted for anything. “My mom did an awesome job. And she raised her first grandchild,” said Williams. 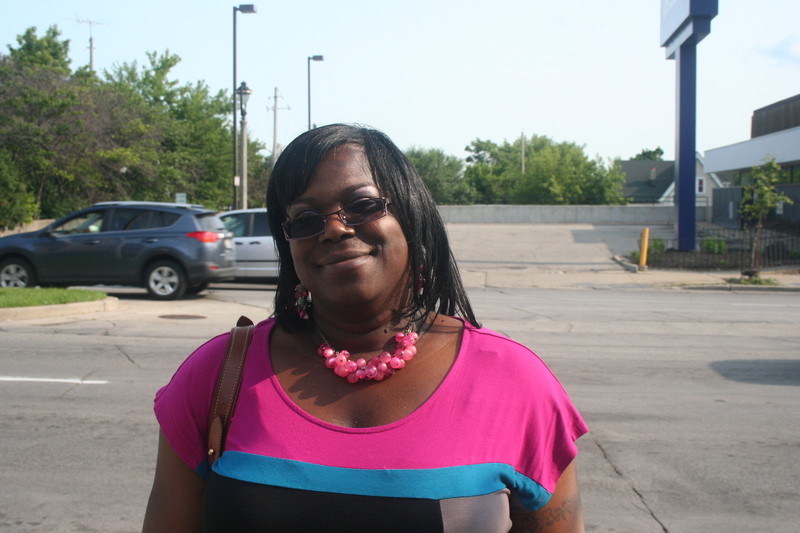 The now-40-something Williams – who, at one point, claimed welfare and, though she took some classes, wasn’t able to finish college – works in the criminal division of the Milwaukee County District Attorney’s office, where she’s been for 20 years. And she’s looking forward to learning even more than she has. Williams says she’ll be at her job for at least 15 more years (until she is able to draw on her pension) but that, when the time comes to retire, she wants to find something else to do, something she’s passionate about, something that will continue to challenge her. Did you find value in Mia’s story? If so, please subscribe to our newsletter; we publish the story of a different Milwaukeean every week.